Fun, gossipy,sometimes shocking and informative read about the men and women of the Secret Service who are trained to take a bullet for the President and his family. 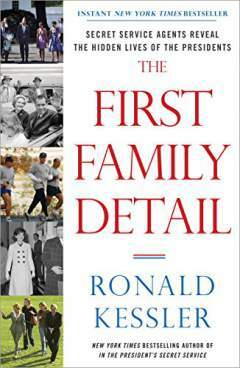 Anecdotes about the personal lives of first families behind closed doors include the dumbest son-in-law in the world, a first lady so blitzed (not Betty Ford!) she couldn't find her house in her own backyard,the President with, literally, the biggest "balls" and other weird stuff observed and shared by agents over the years. You'll laugh, you'll cry and you will be warned. Threaten a President (now including candidates) in any form, from phone calls to tweets, they will find you. In this contentious election year PLEASE DON'T DRINK AND TWEET!